Registration Closes this Weekend for our Client Appreciation Party! Don't forget to reserve your seats today! Click Here for more details. In the spirit of the season, let’s have some special fun with pumpkins!! We have a special catapult that will launch your pumpkin across the farm. Bring your own pumpkin and let’s see how far it will go! C.J.’s Pit Beef, too. Sultana Projects’ Downrigging Weekend is one of the largest annual Tall Ship and wooden boat festivals on the East Coast. Originally established to mark the end of the schooner SULTANA’s sailing season, Downrigging Weekend has grown to become a celebration of maritime culture, wooden boats, and everything else that makes the Chesapeake Bay great. November 1-2, & 8-9,2014, visit the 6 small cider and mead producers of Maryland for a fun packed adventure. Taste award winning ciders and meads and earn points by solving clues and performing tasks. Prizes will be awarded to the top three winners with the most points. Must be 21 to participate. This compelling exhibition features ambitious large-scale paintings that range from still life's and landscapes to narratives and social commentaries. The powerful works recall the lush canvases of Renaissance masters and Sheppard’s controlled style of painting. This rollicking musical follows ten teenage working-class greasers, cheerleaders and toughs as they deal with love, pregnancy, peer pressure and gang violence to a 1959 soundtrack. For a wickedly good time this Halloween, gather your group of ghosts and goblins and head to the Inner Harbor for the creepiest cruise of the year. One of the most popular events on the “Yard”, the concert features U.S. Naval Academy Chapel organist Monte Maxwell and the multi-talented midshipmen in a presentation that has drawn record-breaking crowds to the USNA Chapel. The concert uses special effects and a wide variety of music from multiple genres to celebrate the triumph of good over evil. There is not a soul that we've seen who has not been touched by the scourge of cancer in one way or another. You will have access to over 100 games for head to head gaming and multi-player challenges. Sotterley Plantation is part of the Middle Passage Ceremonies and Port Markers Project, a non-profit organization that is helping to discover and recognize middle passage sites. Sotterley served as a trans-Atlantic arrival site in the early 18th century. Drott Lodge No. 168, Vasa Order of America, will sponsor its 35th Annual Swedish Bazaar Saturday, November 1st from 11am to 2:30pm. Items for sale at the bazaar include imported Swedish foods and gifts, crafts, and homemade Swedish baked goods. Discover how to tan deer skin in the same manner as the Native People of Maryland. This is a dirty job using raw animal parts: dress accordingly! Age 17+. Reservations required: 240-895-4990. 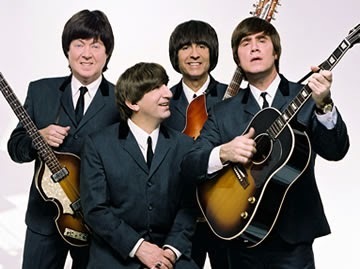 A must-see Fab Four celebration hailed by Rolling Stone as the “best Beatles’ tribute on Earth.” Relive the magic of The Beatles with the same music, hairstyles, costumes and unbeatable sound that took the iconic band to the top of the charts in the 1960s. Little ones trick-or-treat w/ retailers from 12-1pm. Music starts with the sounds of Taylor and Evan at 1pm. The smooth sounds of Three of a Kind will continue rocking the stage, and 5am, formerly Collect All 5, will close from 4-6pm. Event benefits the Greenebaum Cancer Center. Featuring Jana Kramer, RaeLynn, Maddie & Tae, Kelsea Ballerini, and a special performance by Sara Evans! Human skulls and animal skulls - how are they alike and different? See a variety of skulls from the museum's collections and participate in skull-related craft activities. Tour one of the most haunted lighthouses in the U.S. Beautiful views from the lantern room. Talk with a former resident; docents available to answer your questions. Entrance to lighthouse is free - State Park charges entrance fee to get into park. All you can eat ham & oyster supper served family style, optional dessert table, bake sale, and book sale. Menu consists of hand patted fried oysters, ham, potato salad, succotash, coleslaw,rolls,jelly, relishes, assorted desserts(priced separately) iced tea,lemonade and coffee.Carry outs available. 100+ spaces of crafts, flea market items, collectables, and more. Food available all day. Photographic historian Deborah Willis will explore a body of historic images from the book Envisioning Emancipation: Black Americans and the End of Slavery. This rich collection of photographs highlights images of ex-slaves, Civil War Soldiers, emancipation celebrations and family life. Celebrate freedom from enslavement in Maryland. Hike the Underground Railroad, tour a slave cabin, visit an African American slavery museum, enjoy living history demonstrations and eat great food! Events held Saturday and Sunday are FREE, unless otherwise noted, and open to the public. An evening of classic comedy horror flicks with a live musical score. Salute our veterans and active duty military at one of the oldest parades in the Nation! Cheer marching bands, flyover, patriotic floats, military units, Fife & Drum Corps, antique cars.... Free. Rain or shine. In the antithesis of a curated show, artists answer a general call for entries, and every piece of art is accepted and hung until the walls are full. This exhibition is open to all Maryland, Washington, D.C., and Virginia artists, ages 18 & older. To receive a prospectus, call 301-377-7800. Featuring works by Franz Liszt, Richard Strauss, and Libby Larsen. In 2013 Liza and Laura won first prize, Collaborative Artists Division, at the prestigious Liszt-Garrison Festival and International Piano Competition held at Notre Dame of MD University. The Ward Virts Concert Series presents one of Washington, D.C.’s premier jazz groups, the Bruce Swaim Quartet. Their talent in performing jazz standards as well as original compositions has become a gauge for excellence with live performances and recordings. Featuring internationally-ranked mens and womens quartets such as Bling!, Frenzy, GQ, Lunch Break, Lustre, MAXX Factor, Speed of Sound, Spritzer and Vocality. Swedish quartet Growing Girls will come together for it's 25th reunion! Also performing is the 2014 International Champion Chorus, Rönninge! Follow Pinocchio as he goes on a series of adventures and discovers that only by being truthful, selfless and kind to others will he realize his dream of becoming a real live boy. Recommended for family audiences ages four and up.